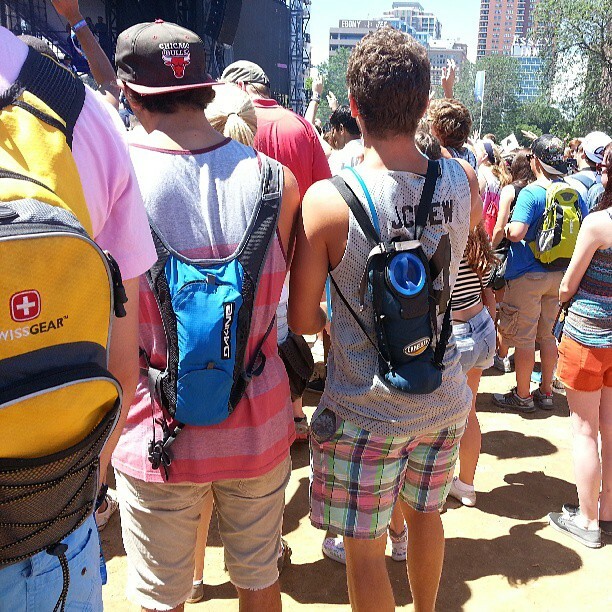 The music is obviously the most important part of Lollapalooza, but the fashion is a close second. 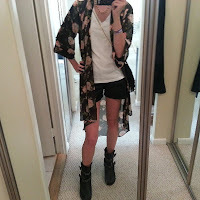 My outfit was a mix of leather shorts with this Forever 21 rose print cardigan and biker boots. 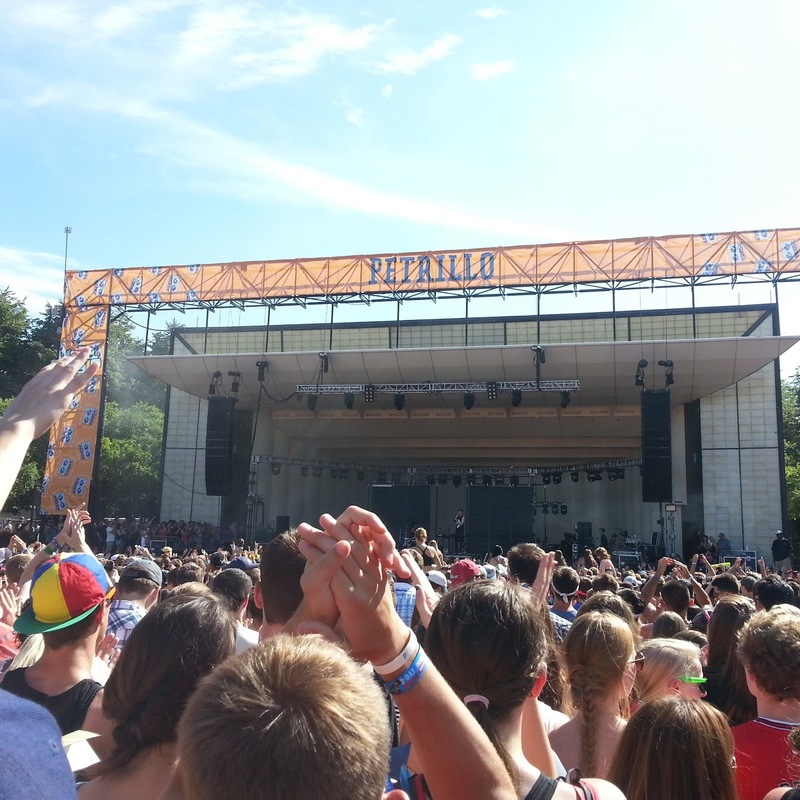 Matt & Kim didn't have the greatest set, but they were super entertaining (to say the least). 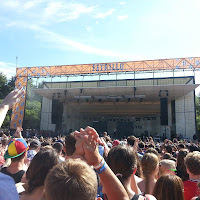 Since I've been a long time fan it was a highlight to (finally) see them play live. 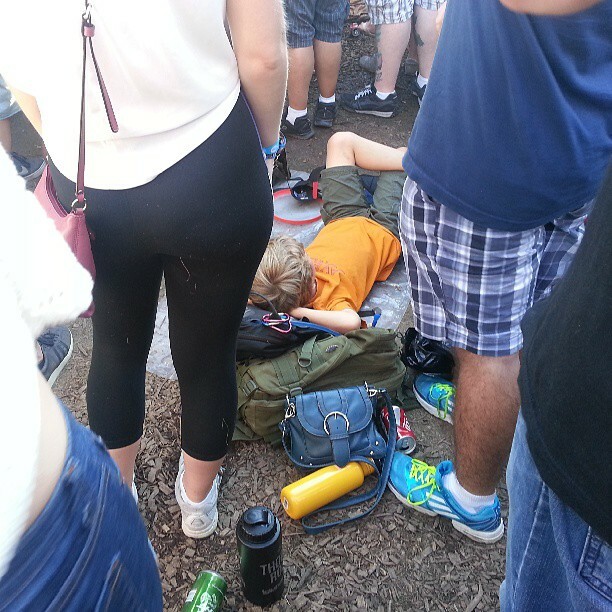 This kid was living the life listening to The National. 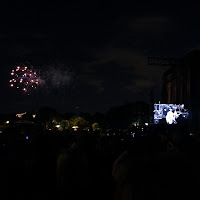 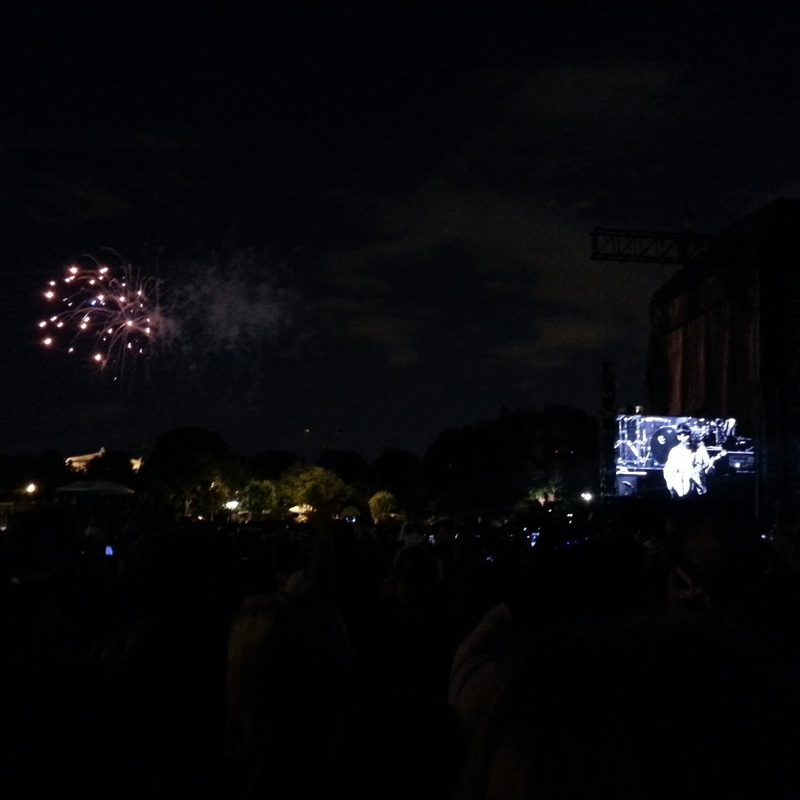 Mumford & Sons + fireworks = heaven. 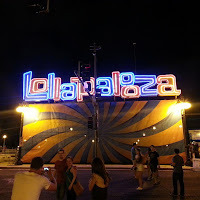 See you next year Lolla! (3-day pass is a must- lesson learned). 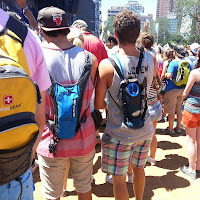 Love your Lolla outfit! 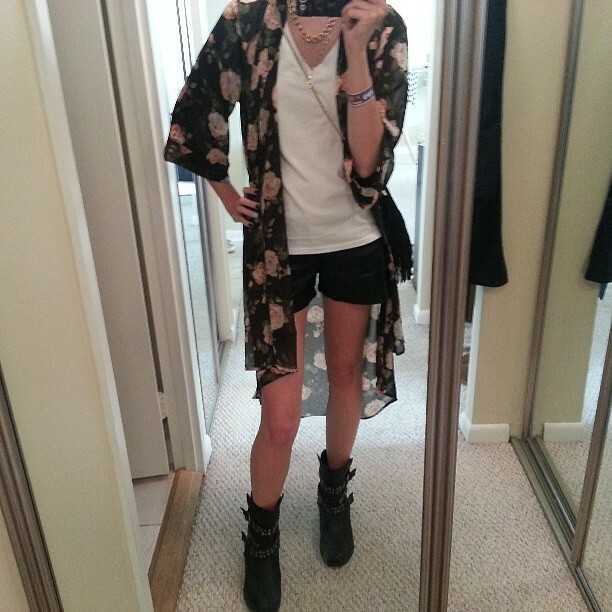 so perfect for the occasion!